October 2 is the Feast of the Guardian Angels. Catholics believe that each soul, including Christians and non-Christians, has an angel assigned to it to give guidance throughout its life on earth. 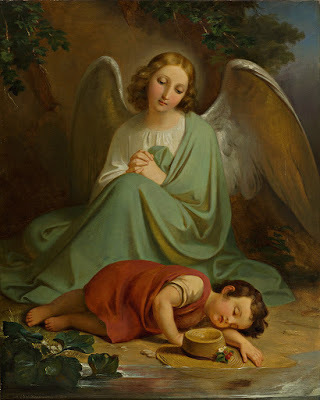 This feast reminds us that angels can help guide us towards salvation by watching over us, protecting us from spiritual and physical harm, helping us in prayer, and assisting our souls at our death. This feast also reminds us that there is more to life than what we can see and hear. Angels watch over us as an extension of God’s caring love.